Eastern Ice is currently owned and operated by myself, Joe Rossi, and my brother David Rossi but the ice business goes back generations within our family. The family got involved in the ice business with our mother Rose Rossi’s family. Her grandfather, Angus Beaton, purchased the Brockton Ice & Coal from Robert White in 1918. At that time they were cutting ice out of the ponds. Flagg Pond and the ponds of D.W. Field Park, located in Brockton, were some of the ponds that they used. 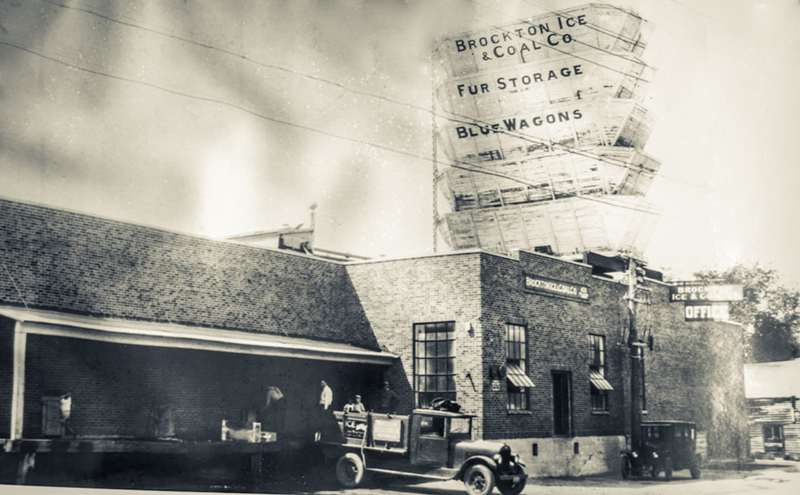 In 1928, the Beatons constructed a modern 50-ton block ice plant at the current Brockton address which is 27 Lawrence Street. Angus Beaton eventually passed the business down to his son, Francis Beaton, and grandsons, Colin and Gussie Beaton. After working for the Beaton’s for 15 years, Chet Rossi, our father, who was the son-in-law of Francis Beaton purchased the ice business from them in 1965 . He renamed it “The Ice House”. The business consisted of a dozen ice merchandisers, one truck and a 100lb. cube cutter. Chet, seeing a need for a manufacturing plant, purchased Eastern Ice Company in Newport, Rhode Island in March 1971. This plant was run by my brother David Rossi and I. Eastern Ice consisted of a 60-ton Block Ice plant that was predominately involved in providing ice for the fishing industry. 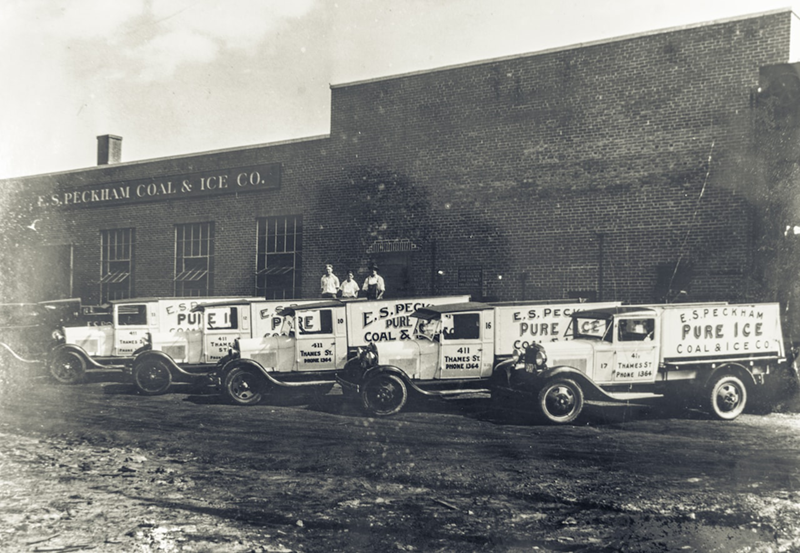 Through hard work, blood, sweat and tears, The Rossi family built both businesses, The Ice House and Eastern Ice into one of the largest ice companies in New England. Our capacity increased from that 100 lb cube cutter to a plant that produces 220 tons per day with a distribution area that includes Southern Massachusetts, Cape Cod, Rhode Island and Eastern Connecticut. In 2007, David & I decided that we had outgrown the Newport manufacturing facility. We decided to build a new plant in the Fall River Industrial Park. Eastern Ice now has a new and modern, 25,500 square foot facility that can produce up to 220 tons a day. The plant is a state of the art facility in both production and distribution. The plant has four bagging lines with a capacity of 40,000 5lb. bags per day. It also has a robotic arm that stacks the bagged ice on pallets. Between the two distribution plants, we have a fleet of 30 refrigerated trucks and trailers that enable us to service over 2,000 accounts. Eastern Ice is a family owned and operated business. Besides myself and my brother David, it includes my two sons, our four nephews and one niece that are fifth generation in the ice business. It also includes three of our brother in-laws. The Rossi’s are extremely proud of our new facility and would gladly love for you to stop by and visit our new plant at 281 Commerce Drive, Fall River, Mass. © 2019 Eastern Ice. All rights reserved.